The news will delight all Mario fans, the Nintendo of America website announced last night that Super Mario Run would land next week on Android from March 23rd. Nintendo will finally be able to touch the whole world with its game Super Mario Run until now the title held on iOS by a private agreement that tied Apple and the Nippon group. We all remember the September Keynote when the game was presented at the same time as the presentation of the iPhone 7. The title was finally released a few months later, in December and until then, it was primarily the terminals running iOS that could benefit, but this time is about to be over. The title should make a huge bounce in the days ahead regarding downloads, with its arrival on the Play Store. Nintendo of America has issued a message on its blog regarding the launch of the Android version of Super Mario Run on March 23, and this is precisely the second of the game. The members On Android will benefit directly from all the updates and all the new features of the title. Super Mario Run: average sales for Nintendo! The Super Mario Run game has been downloaded 50 million times in 7 days on the iOS operating system, but only about 4% of the games downloaded by the players would have been converted into purchases, resulting in weak sales and a small figure of Business of approximately $ 18 million. At the beginning of January 2017, 90 million downloads are recorded, including 3.4% of purchases, generating Nintendo for no less than 30 million dollars in revenue. The Kyoto firm is counting heavily on the arrival of its application on Android to produce a higher turnover. Now, this version is taking advantage of the latest updates and new features! Nintendo of America did not acknowledge whether it was a global launch, as Super Mario Run is present in 151 countries, does a launch in the USA first, then in successive waves in the rest of the world. The site of the mark defines that the game will be available in almost all countries, but again: from the launch? We will have to wait until the 23rd to find out, where to hope that an official release clarifies this information. 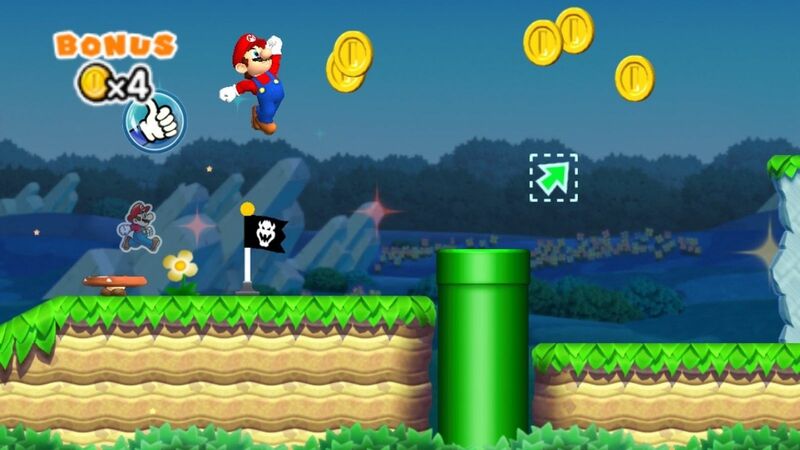 This version of Super Mario Run should offer for free, with in-app purchases. If you want to be one of the first to play with your favourite plumber, Nintendo allows users to sign up via email as soon as the game launched on the Play Store.